This undated photo provided by teacher Lori Nohner-Johnson shows Lakesha Victor at Hinckley-Finlayson Elementary School. Prosecutors in northern Minnesota recently charged 29-year-old Ludusky Sue Hotchkiss with second-degree murder for allegedly neglecting to feed her daughter enough. 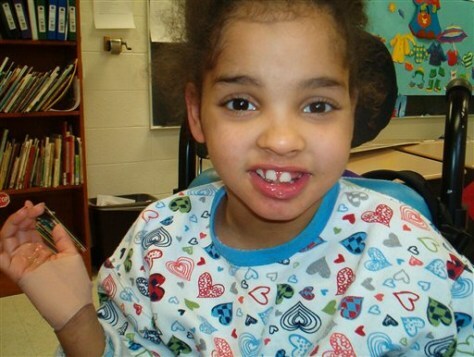 Lakesha weighed 31 pounds when she died in August 2006.